Douglas agreed to participate in ZERO’s article series Hungry like the wolf! He will present his favorit recipie of food and pix of him making it. According to him, he has lazy days in CA, waiting for Flood…. This article has been canceled because of number of unpredictable reasons. 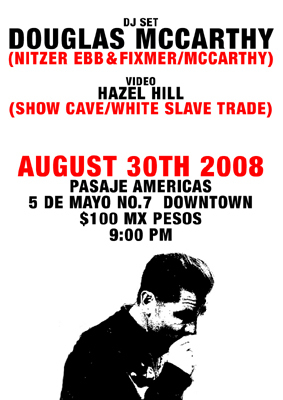 Douglas’ first DJ gig ever will take place in Mexico City on August 30th, 2008 at Pasaje Americas. Have much fun there while Doug’s playing his set of good music! 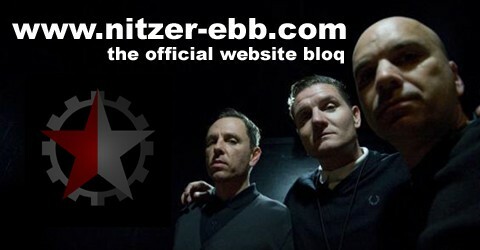 Bon has posted a Nitzer Ebb update on his new blog on bonharris.com and it contains all new facts concerning the new album, new record label, documentary and release date. Please feel free to check out bon’s site and leave a comment too.